I started re-reading Patrick Ness’ incomparable ‘Chaos Walking’ trilogy earlier this week just because it has been years since I last treated myself to it, and it is one of my all-time favourite stories to boot. I began to read it before the current media focus on the ongoing refugee crisis, and before Ness himself began this incredible fundraising campaign, which has (at time of writing) made over £200,000 available to Save the Children UK in order to help the struggling refugee families. But, in light of these developments, I’m writing this review with the aim of encouraging anyone who has never read the Chaos Walking books to buy and read them – or, indeed, any of Patrick Ness’ books. He has written many. His endeavours to help the dispossessed have made the last few days bearable for me, and (I’m sure) for many others. I know of no better way to support him than by – firstly, and obviously – donating to his cause, but also buying his books, and those of the other authors who have pitched in to help. The success of his campaign has truly been an amazing thing to witness and be part of. In any case. On with the review. 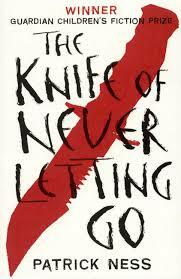 The Knife of Never Letting Go (Walker Books, 2008) tells the story of Todd Hewitt, the last boy in Prentisstown. He is weeks away from turning thirteen, a birthday which will mark the moment in which he becomes a man, and – apparently – when his whole life will change. Because the newly-fledged men (who were once Todd’s contemporaries) stop speaking to him and including him in their lives once they pass their own thirteenth birthdays, he is friendless at the book’s beginning, save for his formidable, loyal, loving and clever dog, Manchee. He lives on a farm with his foster fathers, Ben and Cillian, who have raised him as their own since the deaths of his parents many years before. As soon as Todd discovers this silence, his world changes. 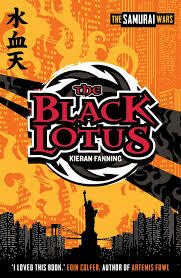 Ben and Cillian urge him to leave, straight away, telling him that he must reach another settlement – even though Todd has been raised to believe Prentisstown is the only settlement on his planet. In the confusion of his leaving, the men of Prentisstown attack Todd’s home, putting his fathers’ lives at risk, and he is pitched out alone into the swamp (where the crocs live) with only Manchee and a backpack, containing his late mother’s journal, to keep him on the right path. Thus begins an adventure whereby Todd finds himself meeting the most unexpected person possible, being chased by an army, and discovering why, exactly, his status as the ‘last boy’ in Prentisstown was so important. This book is filled with brilliant characters (human and animal alike – I defy you to find a fictional dog more memorable and lovable than Manchee), and some of the most gripping, realistic – despite the literally otherworldly setting! – and emotionally affecting dialogue and set-pieces in modern fiction. It’s incredibly evocative, using slang and non-standard spelling to evoke dialect and accent, and as taut as a guitar string. The tension never lets up, the stakes never fail, and in Mayor Prentiss, Ness has created one of the most well-rounded and interesting baddies I’ve ever read. It is violent, immediate, blood-thirsty in places, and in other places it can be genuinely terrifying, because it confronts the darkest impulses in the human heart. But it also throbs with love – that between friends, between a boy and his dog, between a long-lost mother and her adored son, and that between a pair of tender foster fathers who give their all for the child they have sworn to protect. It truly is a book which promises much and delivers on it, and one which more than stands up to a re-read. It deals with issues like slavery, injustice, genocide, religious fundamentalism, sexual and gender-based inequality, colonialism, power imbalances, tyranny, and more, and all in the form of a brilliantly written, masterfully crafted tale. This is a book which tells of other worlds, ones intended to surpass and improve on our own, but which bear all the ill fruit of our own weaknesses. YA literature is all about vampires and werewolves? I think not. Read this book, be amazed, and you’ll immediately find yourself craving its sequels. It’s a challenge, and my gauntlet is thrown! This entry was posted in Book Reviews and tagged book review, book review Saturday, brilliant YA books, Manchee, Patrick Ness, refugee crisis, Save the Children, The Knife of Never Letting Go, Todd Hewitt, ways to help the refugee crisis on September 5, 2015 by SJ O'Hart. This book came highly recommended from some very highly reputable sources. One of them was a bookseller whose opinion I hold in high enough regard as to be comparable with Chaucer’s himself; the other was a knowledgeable and well-read Twitter follower who gushed about it in enthusiastic tones when I said I wanted to read it. So, that sealed my fate. To be fair, though, I was sold as soon as I heard it was a retelling of the Robin Hood myth, and that it had elements of Alan Garner and Mythago Wood in it. We all know how much I adore Alan Garner, but I also adore Robert Holdstock’s marvellous Mythago Wood, and so I was hooked long before I ever had the recommendations. Not just hooked – sinkered. Beyond all hope. 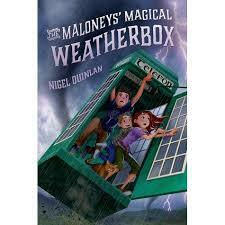 Now, of course the problem with books which are highly recommended is this. Sometimes they live up to expectation, and you’re left foaming at the mouth once you’ve finished, frantically pressing the tome into the hands of all who know and love you. And sometimes – they don’t. Shadow of the Wolf is not a book which left me foaming at the mouth. Having said that, it’s not bad – it’s one of the best books I’ve read in a while, in fact. But somehow, it left me a bit sad inside, probably at the idea that there was so much in it which was good, but somehow I remained detached from it, overall. However. One thing it does do extraordinarily well – better than nearly any book I’ve read – is create a sense of place. And not just any place, but a forest so alive, so real and menacing and beautiful and bountiful and terrifying and strange that it is, in every sense, as much a character as any of the humans. Of course it’s Sherwood Forest, but it’s made up of many other forests which overlap and intermingle and merge, which made my heart glad as it recalled the heavily-forested reality of the Middle Ages in which the book is firmly set. It places a small boy, Robin Loxley, in this forest, and it shows him being lost beyond all hope of finding right in its heart, and then it shows us how he survives. It takes characters with the same names as the ones we know – Robin, and Marian (here Marian Delbosque, which I felt was particularly appropriate), and much later Will Scarlett and the Sheriff of Nottingham – and gives them entirely different stories from anything we’ve ever encountered before. And all this is brilliant. But I felt that, at times, things just went too far. 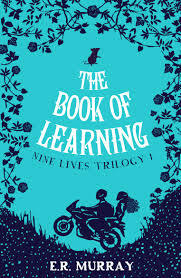 A lot of the book takes place in the forest itself, with Robin learning how to master it and interacting with the dread, powerful and mythical forces he finds within it (particularly the fearful Lady of the Forest, who gave me the creeps big time), and dealing with the enormous setbacks he faces once he loses his family, and then Marian, in turn. As well as simply keeping himself alive from one day to the next and one season to the next, he has to work out what has happened to his loved ones, and why – and whether he has any chance of ever getting them back. I enjoyed the scenes where he is in training with Sir Bors and his boys, because they were so well-described that I felt like I was watching them unspool in front of me; I enjoyed the scenes with the creatures in the forest, and I thrilled to the hints of medieval myth and legend which thread through their depictions. I particularly enjoyed the way in which Tim Hall uses the myth of Robin Hood’s prowess with a bow and arrow, and how it is reimagined here. But, every now and again, the book pushed the story down a path I couldn’t believe, and I found it hard to walk those paths. I also felt the sheer evil of the evil characters veered into the overblown at times, though one scene near the end of the book rescued the Sheriff from caricature, for me. He shows a depth of character and layers of complexity at a vulnerable moment which made him more ‘alive’, and I appreciated that. Other evil characters aren’t so lucky, and remain one-note throughout. This book does ‘have it all’, on some levels. Drama, romance, action, gore (and it has that in actual spades, so be warned), mythology, psychology, historical ‘reality’, tension, terror (veering into horror at some junctures), friendship, honour, people banding together in order to survive (I wouldn’t go so far as to call it ‘Merrie Men’, or indeed ‘Merrie Lasses’), and it’s clear that the author knows not only the legends, but also the historical period, intimately. You’ll smell the sweat and blood, you’ll taste the food, you’ll feel the strain of the bowstring, and you’ll hear the sounds of the forest all around. But, for me, I was left feeling somewhat hollow and unsatisfied at the book’s close. Lots is left unexplained (because sequels, but it’s annoying), and I felt as though I had nobody to root for, as I didn’t particularly like anyone. I think this might be the problem: I found it hard to connect to the characters in this story. Perhaps that’s me; perhaps not. I’ll let you decide. So, I’d recommend this book, but with reservations. It’s marketed as ‘YA’, but I’m not sure I’d place it there. Robin and Marian are young in it, but that doesn’t make it a YA book. It’s historical fiction; it’s mythological retelling; it’s an adventure story. In many ways, it’s beyond definition. Certainly, it’s memorable. Give it a try. Check out a preview of the book at the publisher’s website, and see if it’s for you. 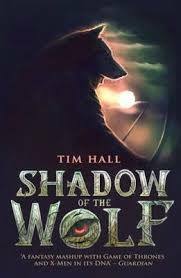 This entry was posted in Book Reviews and tagged Alan Garner, book review, book review Saturday, David Fickling Books, Mythago Wood, retelling, Robert Holdstock, Robin Hood, Robin Hood retelling, Shadow of the Wolf, Tim Hall on August 8, 2015 by SJ O'Hart.